People dream of the day they can turn the key, walk through the front door and say “This is mine!” There's immense pride that comes with being a homeowner and it often times is paired with another exciting step in your life: just married, growing family or settling someplace new for your dream job. As you begin your search for a place to call home, it is important that you understand both the pros and cons that come with being a home owner. For many Americans, purchasing a home is one of the biggest and most exciting investments they will ever make. It is a real opportunity to put your hard earned cash towards your future. Right now, the real estate market in Florida continues to improve. So buying now gives you the opportunity to capitalize on the growth that will take place over the years. And when you’re ready, you can sell your home at a higher price than you bought it for, leaving you with a nice return on your investment. That beach house by the water is now within reach! The opportunity to build home equity is a major appeal for future homeowners. You may be borrowing from the bank to fund the initial investment in the form of a mortgage, but once you pay the mortgage for a few years you will begin to see your loan lowering and your ownership increasing. Over this time you also stand to potentially gain equity if the value of home prices in the area increase. Additionally, you'll have the power to take out a home equity loan, which provides a lump sum of money, or get a line of credit that you could use when needed. Interest rates are potentially tax deductible, as well. If you are transitioning from renter to homeowner, you know how frustrating it can be to not have full control over the property in which you reside. Different layouts work for different people and having the power to make adjustments so that the space you live in really works for you is one of the most exciting parts of being a homeowner. Some house hunters look for properties that they can renovate to make into their own. Others find a home that's perfect just the way it is. Whether you are a renovation house hunter or move-in ready is more your pace, the creative freedom that comes with being a homeowner is something you should be really excited about. Few rental situations come with your very own yard and space between neighbors. Oftentimes, apartment units are typically separated by just the building’s walls, have shared laundry rooms and a communal outdoor space, so noise and lack of privacy become all too commonplace. Planting flowers, growing vegetables, enjoying your private pool and sitting on your porch alone are just some of the many benefits that you can start to enjoy after purchasing your own property. Plus, the idea of hosting company becomes way more realistic. It’s much easier to have family over for a Fourth of July BBQ when you have your own backyard and no landlords to worry about! There are quite a few tax breaks you may be able to take advantage of as a homeowner, but Mortgage Interest Deduction and Property Tax Deduction are the big ones. Of course, there are qualifications and limitations, but the money saved on your federal income tax is more than you would ever get as a renter. You can deduct interest on the mortgage for your first and second home, for instance. Third homes, fourth homes and so on do not qualify for the Mortgage Interest Deduction, however, the Property Tax Deduction is applicable to all properties you own, regardless of the number. You can deduct up to $1million of paid interest on mortgages and up to $100,000 of interest on home equity debt. That puts a lot of money back in your pocket to pay for other things. A car in the garage, a vacation or maybe even the balance on your child’s college tuition. Of course, we recommend that you consult your accountant on any tax benefits you specifically qualify for. Saving for initial upfront costs and qualifying for a reasonable mortgage payment can be tough. Homeownership is an awesome goal to have, but the 3-20% down payment is not in everyone’s immediate budget. Here are a few instances where homeownership might not be right for you at this time. Saving for a home while renting can be challenging and it’s often why renters put off house hunting for longer than they should. If upfront costs are a homeowner challenge keeping you off the market, consider making a few small adjustments to the way you currently budget your money. A little bit can go a long way. Also, contact a real estate pro to get information on the latest mortgage plans available. You may be shocked to find that you can purchase a home in some instances with $0 down. Ready to go find that home you’ve been looking for, rack up home equity and decorate to your heart's content? A dedicated real estate agent can help you get to know the market and what's available for the price you’re looking to pay. 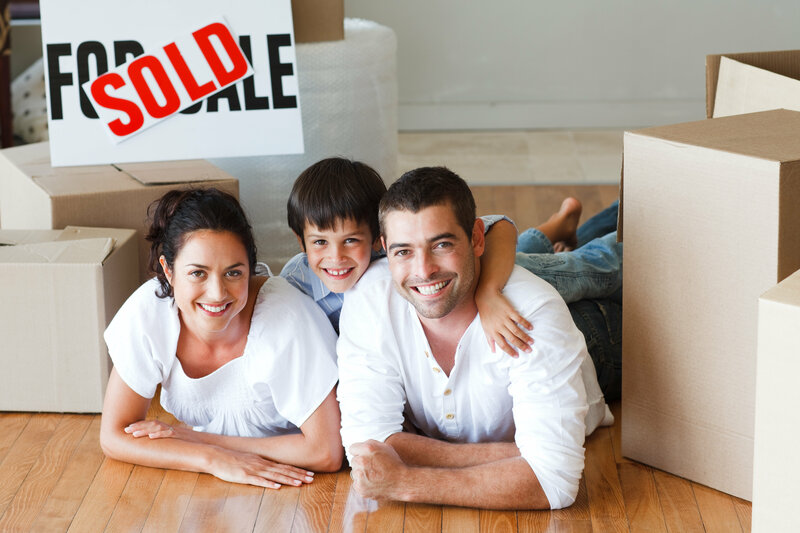 The most important thing to remember is it might not feel like an easy task in the beginning but with an experienced and educated realtor, they can make the home buying process easy and fun. If you’re ready to begin your home search in the Tampa area, click here to contact Joe Manausa Real Estate today, or fill out the form below. Danny Margagliano is a guest blogger and real estate expert for the Destin, Florida area, commonly referred to as 30A. If you are in the market for your first home, a vacation home or retirement home in the Destin area, you can reach Danny at 850-830-4747.